At present the two part-time members of staff are Linda Williams and Phil James. 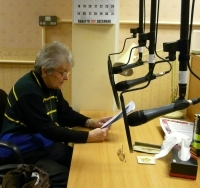 Linda started as Rhian’s assistant over 20 years ago, and when Rhian retired, Linda was made organiser. She supervises the recordings and oversees the administrative work. Phil James is the one who sorts out all the mail, duplicates tapes and CD’s, making sure that there is a supply of “books” for everyone who wants to borrow them free of charge. The tapes are sent out by Royal Mail at no cost to the recipients or the organisation. Every week volunteers help with sorting the mail and distribution of tapes and CD’s. Others record for hours on end books chosen by Linda and the team, readers and recipients. 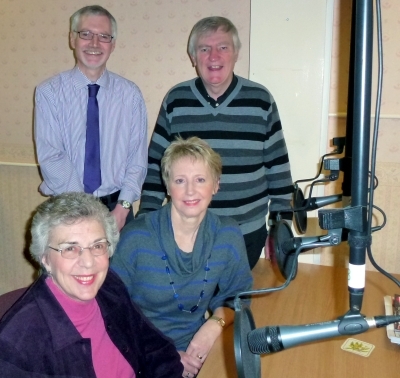 Chairman of the new group is Sulwyn Thomas, a retired broadcaster and founder of Radio Glangwili. Vice chair is Rhian Evans. Other members of the Board are from many walks of life, providing a variety and a wealth of experience.